The AccessAmerica Video Remote Interpreting project plans to install 81 new videoconferencing stations, and enhance the user experience at 19 existing stations that serve individuals who are deaf or hard-of-hearing in Northwest Louisiana, and sites in Alabama, California, and Texas. The project intends to use broadband and videoconference technology to provide on-demand, cost-effective sign language interpretation at a total of 100 community partner sites, including community anchor institutions such as hospitals, courts, public safety agencies, shelters, schools, and libraries. 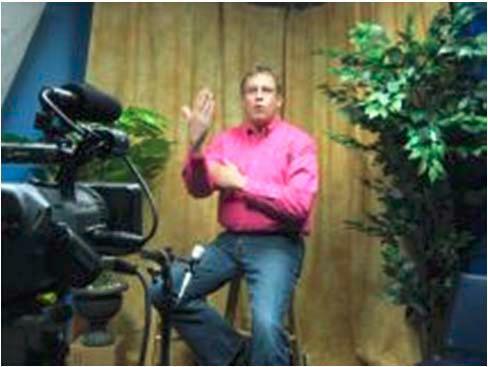 Each state-of-the-art video conferencing unit is expected to connect to trained American Sign Language interpreters working at a central call center or otherwise remotely. The Deaf Action Center of Louisiana installed new videoconferencing stations and enhanced the user experience in Northwest Louisiana, as well as communities in Alabama, California, and Texas. Serving individuals that are deaf or hard-of-hearing, the project deployed more than 90 workstations and provided more than 5,700 hours of training. Remote video interpreting enabled individuals that are deaf or hard-of-hearing to access sign language interpreting services. The state-of-the-art videoconferencing units were installed in courts, hospitals, and libraries, and the units linked to American Sign Language interpreters at Deaf Action Center’s offices. Using these interpreters to facilitate communication remotely saves the cost of mileage and travel time. The workstations are available 24 hours per day, and individuals can use them to access educational, legal, and business resources.